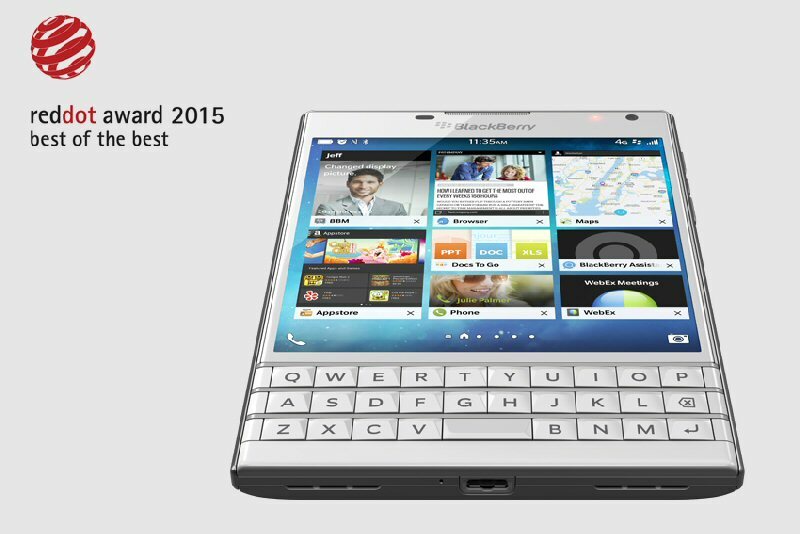 BlackBerry Limited (NASDAQ:BBRY)(TSX:BB), a world leader in mobile communications, today announced that the BlackBerry® Passport™ has won the prestigious Red Dot Award: Product Design 2015. The BlackBerry Passport proved its design excellence in the most important competition for product design, which is celebrating its 60th anniversary this year. The Red Dot Award was created by Design Zentrum Nordrhein Westfalen and with around 17,000 entries each year is one of the best-respected design competitions in the world. In 2015, it is celebrating its 60th anniversary: It was in 1955 that a jury convened for the first time to assess the best designs of the day. The sought-after award, the "Red Dot", is the revered international seal of outstanding design quality. Award-winning designers, manufacturers and agencies use the Red Dot winner label and receive numerous other winners' privileges, such as the presentation of the award-winning product on Red Dot Online, in the Red Dot Design Yearbook, the Red Dot App and on Red Dot 21. Additionally, the winning products are communicated in the international PR activities of Red Dot and exhibited in the Red Dot Design Museum Essen for a whole year. Hear directly from the BlackBerry Design team on their goals, inspirations and challenges when creating the BlackBerry Passport (video). To view the photo associated with this press release, please visit the following link: http://www.marketwire.com/library/20150409-Passport_BotB800.jpg. To view the video associated with this press release, please visit the following link: https://www.youtube.com/watch?v=eXH5UDFMHfE.